Finally. At long, long, long, long, long, long, long last. 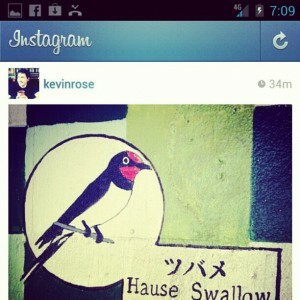 Instagram has released their official Android Application. In case you don’t know, Instagram is a photo-sharing platform which incorporates different fun-style effects and third party sharing into the mix. It’s been available for the iPhone since late 2010 and has collected over 30 million users. Yeah. Whow. There were many speculations of an Android App over the past while, but no confirmed release date. Now that Instagram has released their Android version, they are well on their way to a giant user base. After all, Android does have more of a market share than the iPhone. 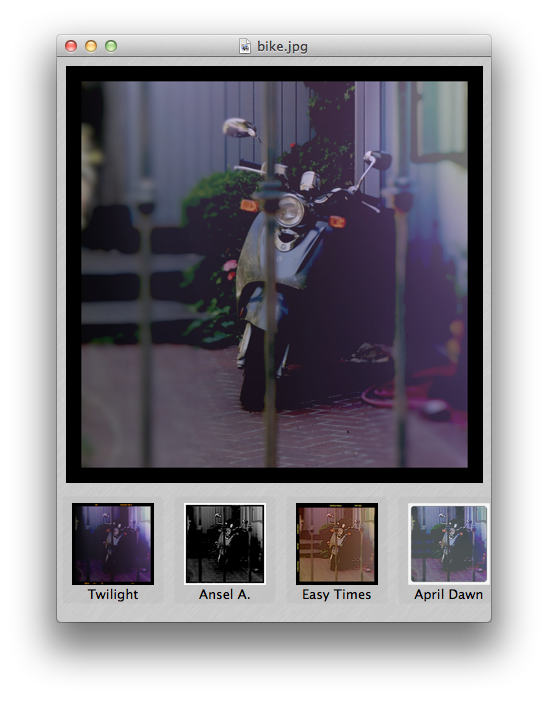 If you are an android user longing for some instagrammal love, click here to download the free app for android. Enjoy! Less than a year ago, apple released OS X Lion. It added a ton of very very very handy features. Now, Apple has just announced Mac OS X Mountain Lion. It features iPad-like features such as iMessages, Reminders, Notes a Notification Center, Twitter integration, Game Center, and even AirPlay mirroring. These are some shiny new features that are similar to the Leopard to Snow Leopard upgrade – not that big, but may still come in handy. Mac OS X Mountain Lion is going to be released to the public this summer. In the meantime, you can download the Messages beta app and start iMessaging your friends from your mac. Click here to see more of the sneak peek at Mountain Lion. Click here to download the Messages beta application. 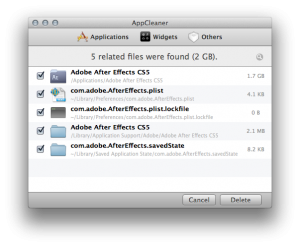 One of the conveniences of Mac is that applications come in packaged files ending in .app. For this reason, they are usually said to be easy to uninstall – just delete the .app file from your applications folder and it’s gone. True, this will get rid of most of the files, but often there’s still some application metadata gunk left laying around in hidden folders. 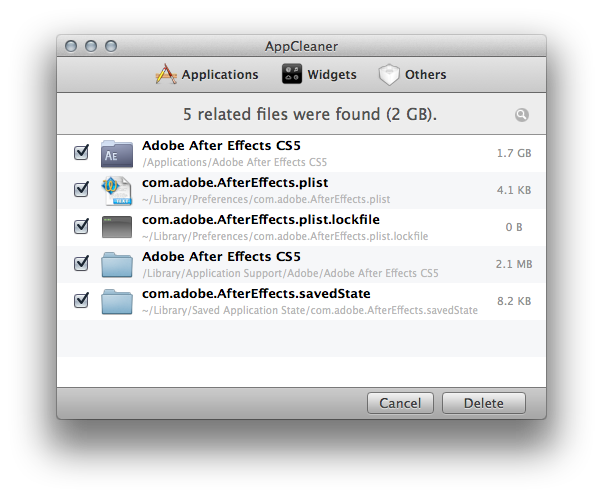 That’s why AppCleaner is so handy. Drag in a .app file, and it will find all of the supporting files and allow you to delete them. This allows you to get a completely clean uninstall of an application on your mac. Did I mention it’s free? Pick it up from FreeMacSoft using this link. Enjoy! The only real reason I ever root my phone is to use the Wifi Tether app. Wifi Tether is a free application that allows you to get the internet from your rooted android phone onto your computer, without having to pay for Verizon’s ridiculous tethering plans. Right after I rooted, I installed Wifi Tether and was disappointed when it gave me an error and didn’t work. 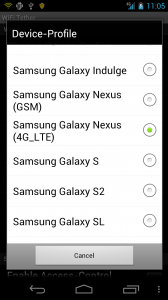 I went to their Google Code page and there was already a very popular thread about it’s dysfunctionality on the Galaxy Nexus. 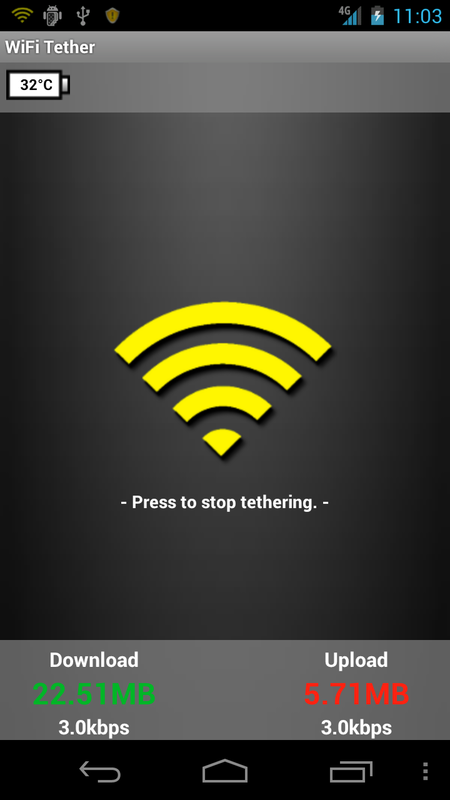 Well, rooters unite – Wifi Tether has just released an experimental pre-beta version that has support for the Nexus. Although it’s considered “experimental,” I’ve had absolutely no problems with it and I’m loving the 4G speeds. It’s like having a 4G Mifi with no data limits and a much cheaper data plan ($30 a month!). Click Here to download the app. I recommend browsing to this page on your phone (here’s a shortlink to save you a little bit of time: http://wp.me/p1GtXy-vW) and hitting that download link. Once it’s downloaded, go into Settings > Security and check the box that says “Install Apps from Unknown Sources.” This will allow you to install the apk file you just downloaded. Now open your downloads and tap the apk file I told you to download up there, and you will go through a quick install process. Open up the app and you’re ready to tether over 4G speeds! If you’re not rooted yet and would like to be, click here for my post on how to root the Galaxy Nexus. One of the most anticipated phones if the year is the Galaxy Nexus. It boasts a ton of new features, courtesy of Andoid 4.0. One of Apple’s strongest points is how they release their phones. They send out an invite to an event, then at the event make a clear availability date. This causes people to get excited for the product and even line up for it. 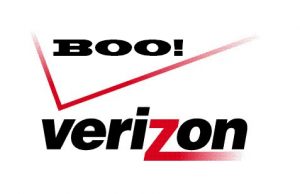 I don’t understand what Verizon is going for. Are they trying to get hype? Are they attempting to draw more in with their deadline extension? Or are the marketing people really just that clueless? 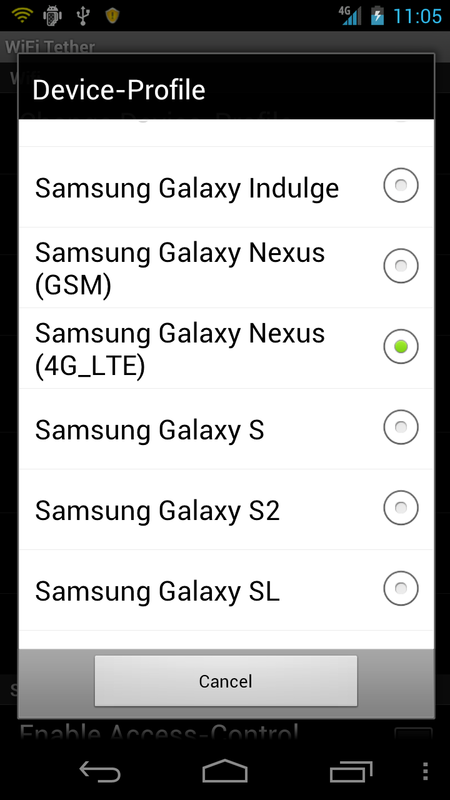 Many people have their two year upgrades coming up and would like to upgrade to the Nexus, but with so much waiting and games people are beginning to lose patience with Verizon. It’s not sure whether the phone isn’t actually going to be released on the 9th, and other sources are saying that it could be on the 13th. Who knows? Verizon either needs to stick to the leaked dates to encourage more hype assurance or just give us a solid, set release date. One of the most prized new features of iOS 4 and on was the ability to run many apps at the same time and switch between them easily. One of the little issues with this is that when you close an application, it stays running in the background. Normally this wouldn’t be a problem. But contrary to popular belief, background apps take up a ton of battery life! By the end of the day, you could have every single one of your apps running in the background of your iPhone! 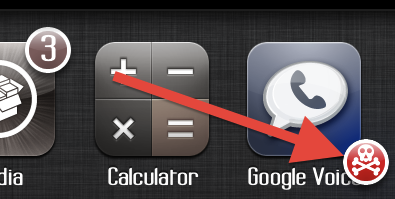 Of course you can double-click the home button, tap and hold one of the app icons for a second, then hit the red circle in the top left. Then hit it again for the next app. And again. And again. And again. You’ll have to tap once for every single app that’s open. Done yet? 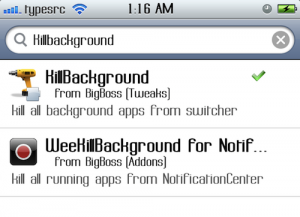 Well, if you happen to be jailbroken, here’s a little tweak from Cydia that will help you. 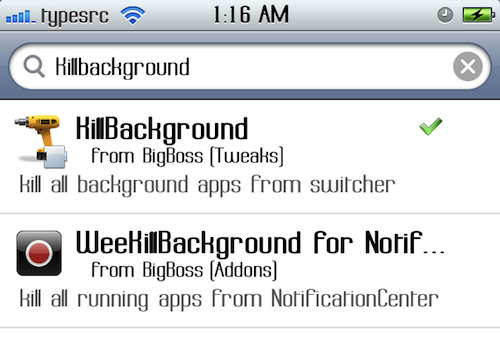 Open Cydia and search for KillBackground. Install the free package by Mathieu Bdard and respring your device. When your phone comes back, you won’t immediately be able to tell that anything is different. But open up a few apps, then double-tap the home button. Tap and hold one of the apps for 1 second, and voilà! You’ll see a little red crossbones icon in the bottom left. One tap and all of your apps are killed! 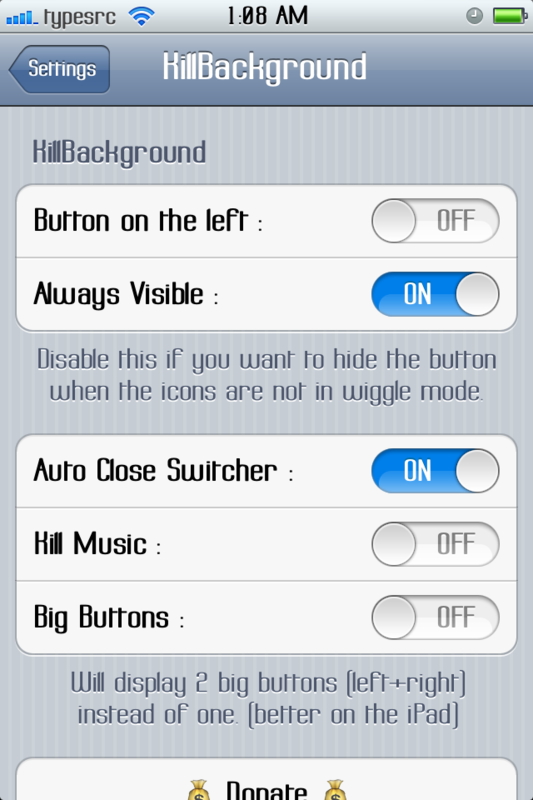 You can also open up your settings app and select KillBackground to configure some different options. Enjoy! My friend Amit and I set all of the Smart Signs to GMG! 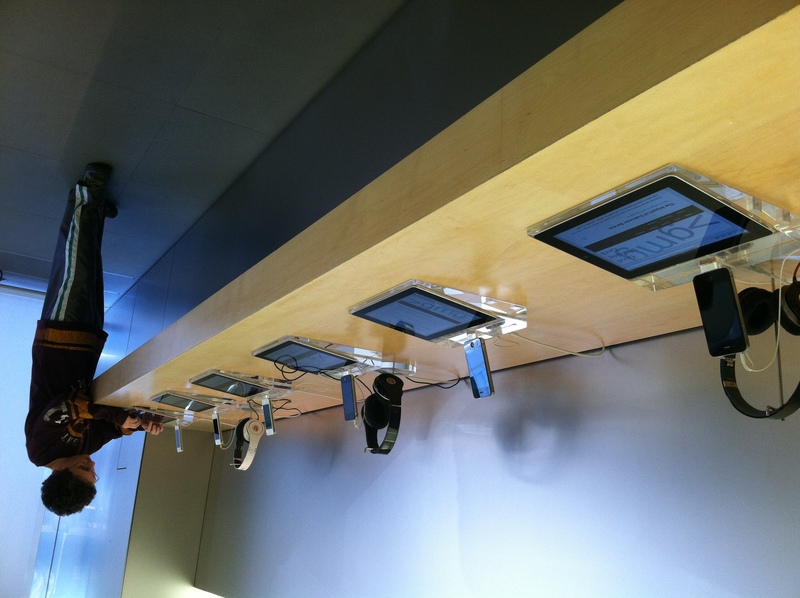 If you were recently at an Apple Store, you may have noticed their new “Smart Signs.” These are iPads that have information about the Apple product you’re looking at, however these iPads are locked in the smart sign mode. The iPad’s physical buttons are embedded into the plastic stand, and the home button has been disabled. Sources say that there is a “secret gesture” that gets the iPads out of this mode, but after a ton of online research and asking many different Apple store employees, I still couldn’t figure it out. So I went the easier way – I had to figure out a way to push the buttons. I pushed as hard as I could on the edge of the iPad’s bezel, and this activated the lock button in the top right and locked the iPad. The plastic of the stand pushed against the button, so I wouldn’t be damaging any of the inside contents. After I successfully locked the smart sign, I turned it back on and I was greeted with the lock screen. However, after unlocking the iPad I was returned to the same Smart Sign mode. Darn. Tada! The iPad booted into its normal mode, and I was able to open the default applications and such. Unfortunately, the Home button is still disabled – so if you open an app, you won’t be able to get out of it without rebooting the iPad. While we were at it, my friend/helper Amit decided to help me out and assisted me in setting every smart sign in the Apple Store to Good Morning Geek. Because the home button was disabled, the customers either had to browse my site or scroll up and find the URL bar. Also, the screens are set to never turn off – also handy! In the end, it was really fun. I tried to jailbreak it with jailbreakme.com, but that site is blocked – :(. 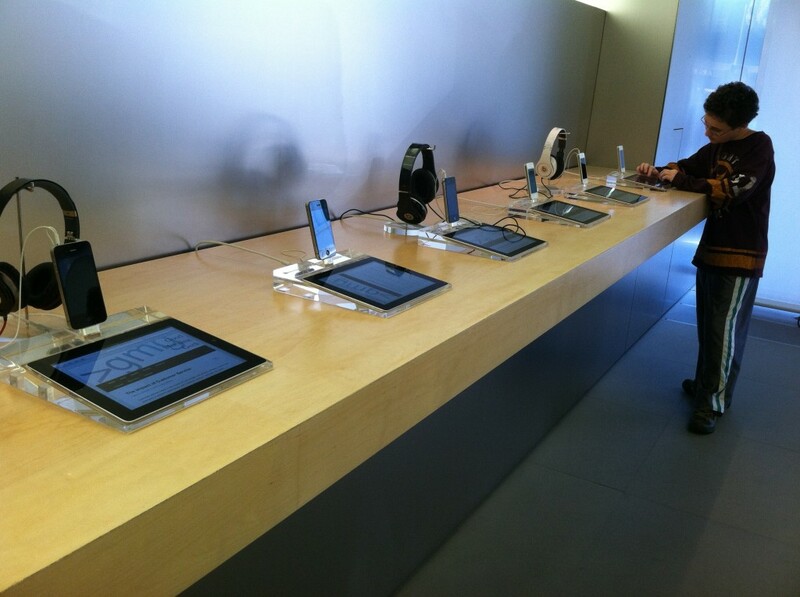 So if you’re ever in an Apple Store and want to either a. Annoy the employees or b. Show your friends a cool trick, this is a pretty fun and easy hack. I hope to eventually find out the actual gesture, and after trying everything I could possibly think of, it must be fairly complicated. Instagram is an amazing iPhone application that can transform your normal iPhone photos into interesting, old-ish photos. Unfortunately, your iPhone doesn’t have the best camera that you could put your hands on. Here’s two applications that will give you Instagram-like photo effects and filters, but you can supply your DSLR’s pictures! Focus is an application available from the Mac App Store for $5. 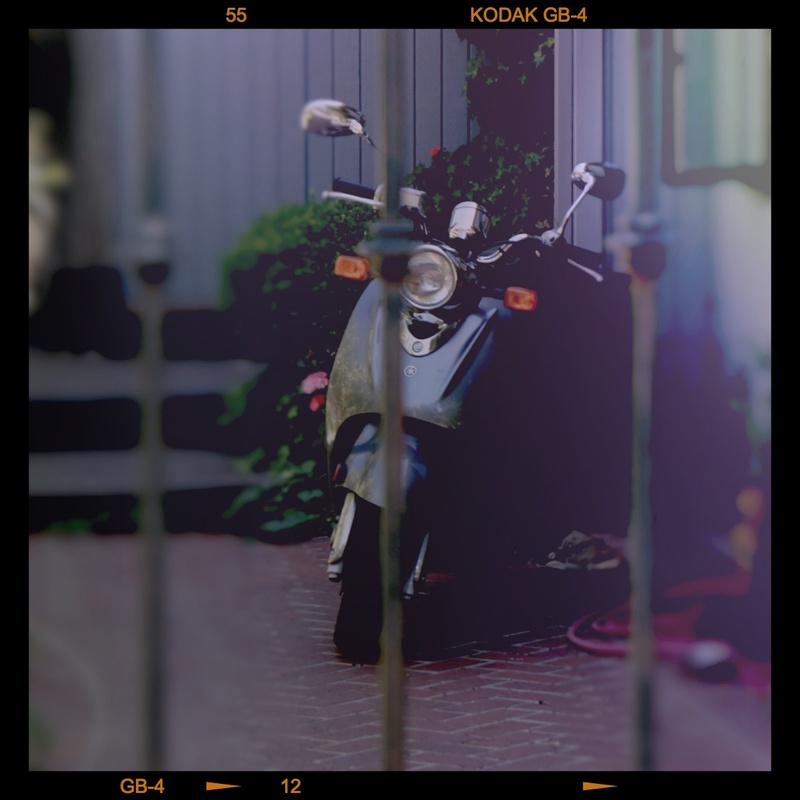 The app basically allows you to add tilt-shift effects to your photo. It’s a very straightforward application, and I think I can basically sum up the controls in this screenshot. First, open a picture in the app. Then, click “Place” in the bottom left corner. This will allow you to rotate, crop, and align your photo to your liking. Then, click on one of the options that are shown. I personally don’t understand why they had to add a bunch of options – I mean, why couldn’t they have just added a button for circular, a button for linear, and a slider for Vividness? The world may never know. After you’ve selected one of those options, you can click and drag the focused area around and rotate it to your liking. Once you have it in a place you like, hit File > Export and save it as a JPEG. Now you have a tilt-shifty photo! Now that we have the tilt-shifty part of your photo complete, we need to add some filters. 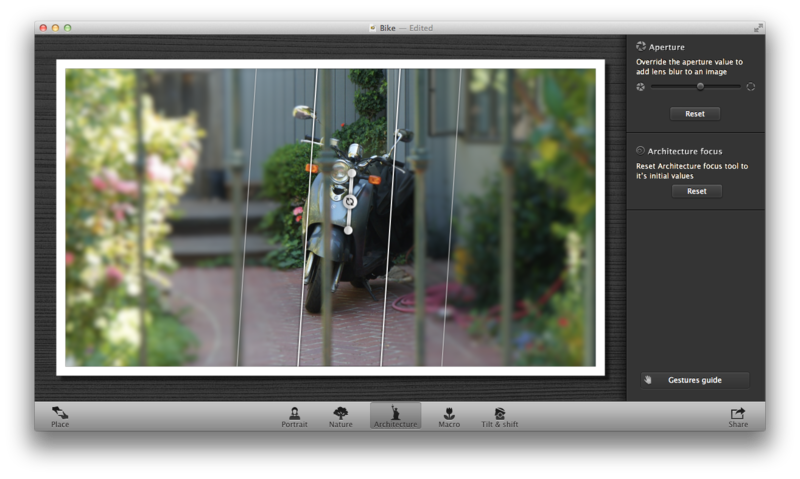 This will be done with another app from the Mac App Store that is available for a painful $13 – worth it I think so. There are 12 awesome filters to choose from, and it’s as easy as clicking on the one you’d like and bam, there’s your new photo. When you’re done and you like the results, go to File > Save As and save it as a JPEG. 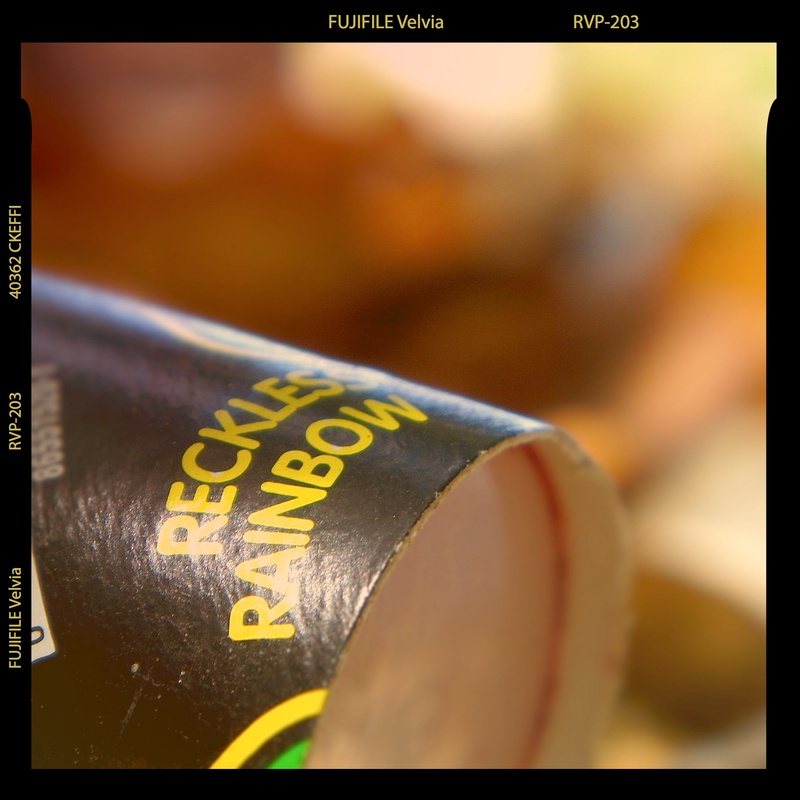 Your final picture will look like an instagram shot, but higher quality and resolution! To go even farther, you can print them out on nice paper and post them around, like I did with instagram photos in this post. Even though this will cost you $19, if you’re really into editing photos with tilt-shift and Lomo effects, this is the way to do it! Here’s a couple of photos that I have gotten out of this system. 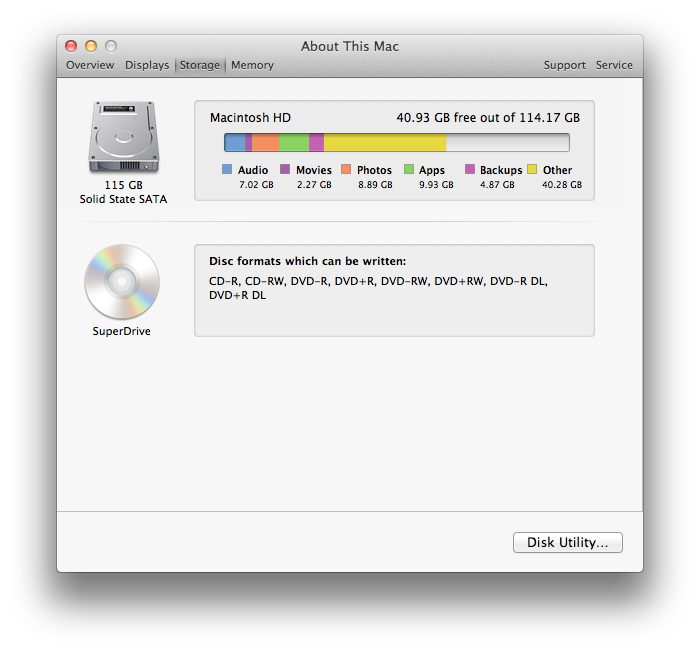 OS X Lion removes the need for any kind of media for the installation. That’s nice, because there’s no disk for you to lose! However, if something terrible happens to your computer, you’ll end up installing Snow Leopard, then upgrading to Lion once again. Thankfully, Apple has made a utility that allows us to easily and painlessly create a bootable USB Lion Recovery Disk. 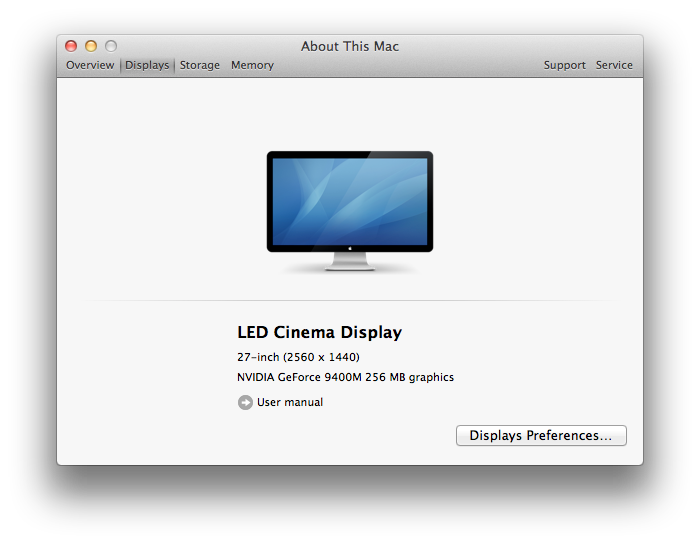 Unfortunately, you must have either the MacBook Air or Mac Mini Mid 2011 for this to work. This is because those are (currently) the only computers with the Lion Recovery Partition. Click here to download the Recovery Disk Assistant from Apple. Once downloaded, open the Disk Image and launch the Application. Now would be a good time to plug in a USB disk. Plug it in and continue through the installation. There’s nothing for you to configure, so this is extremely straightforward. If your computer stops booting, or you get a new hard drive, it’s time to use this disk. 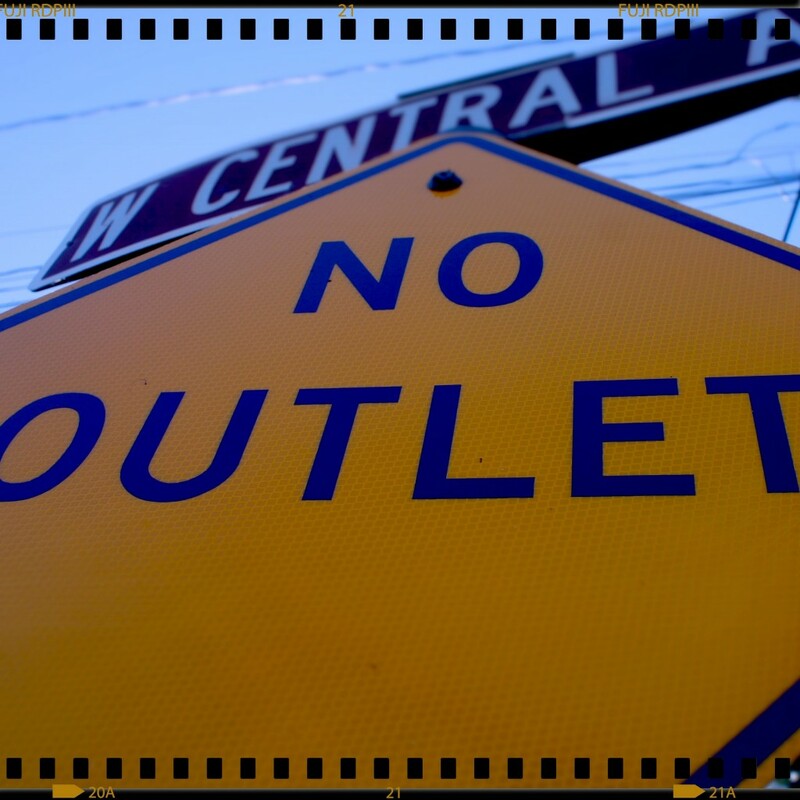 Plug it in to a slot on your computer, then boot holding the alt/option key. In the menu that appears, select the recovery disk. Now you can download and install Lion right back on to your computer! You’ve been using Instagram, the social network of quirky and cool pictures. So now you have a profile with all these awesome pictures with comments, and all this other techy stuff. But sometimes it’s nice to convert all that cool digital stuff into something analog. And that’s why today, I’m going to show you how to make photo booth reminiscent photo strips. The first part of this project is to make strips of all of your photos. Start out by going to http://instaport.me and downloading all of your pictures to your computer as a zip. Instaport is a simple service that allows you to download all of your instagram photos as JPGs for free. Once you have a zip saved and you can view your instagram images, you might want to go through deleting the ones that you don’t want to be included in your photo strips. The next step is to open all of them up in preview. Go into the instagram folder (the folder containing all of the JPG images from instaport) and press Command A. This will select all of your instagram photos. Then just double click anywhere in the window and you will eventually get a preview window with all of your images open. 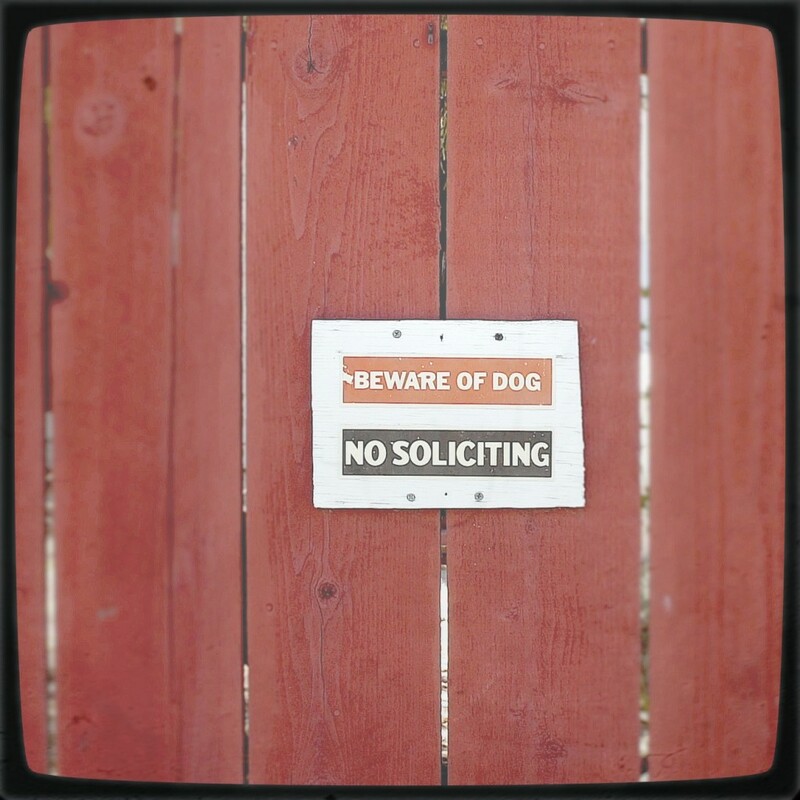 If possible, try to print borderless – your printer may or may not support this feature. Next, hit the big Print button and let the magic happen. In a few minutes, you should have a few pages of instagram photos. Get out your rotary cutter / paper cutter / scissors and cut them into even strips horizontally (so that you have strips of four). Here I’m using a rotary cutter to to cut the strips evenly and cleanly. Once you’ve done that, you’ll have a ton of cool instagram photo strips. Well, now you have these cool strips! There’s tons of things you can do with them. Use them as bookmarks, give them to friends, collect them, hang them, use them as business cards, or my favorite: start an instant photo wall! Also, feel free to follow me in instagram! My username is maxswisher. For the longest time, if you wanted to get to your information about your computer, you used System Profiler. The interface was clunky and confusing, obviously aimed at more advanced users. Although it’s not advertised much, there is a new app replacing System Profiler called About This Mac, introduced in Lion. 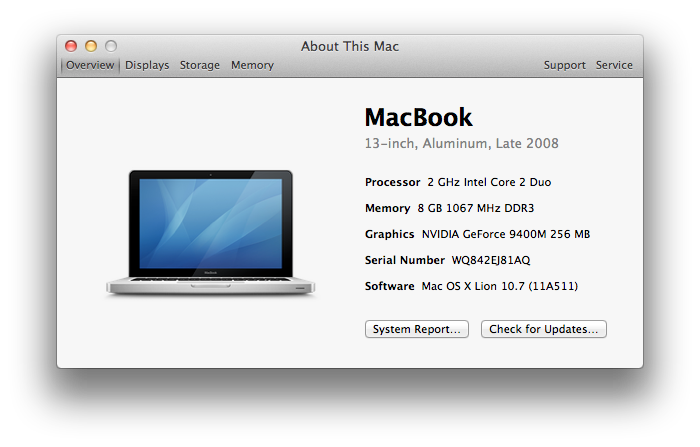 Unlike system profiler, About This Mac is easy to use, and makes the more important things stand out. It also uses graphics to make explanations easier to understand. As you can tell by the above picture, it’s a very easy to understand and streamlined interface. The Displays Pane is simple and easy to understand. As you can tell, it’s quite easy to understand. It gives you a graphic of the display, and the name of the display. Then, in smaller text (indicating that it’s probably less important to you) it tells you the dimensions, size, and graphics card. If it’s an Apple monitor, it will even give you a link to the user manual – handy! The storage pane gives you some quite-welcome insight into what’s taking up your disk space. It may seem similar to something you’ve seen in iTunes. It’s definitely handy that it gives you this info. It also lists other volumes that you have mounted/installed, such as your CD/DVD Drive and any USB drives. Memory, the easier term for RAM, is crucial to your computer. If you didn’t have any Memory installed, you would have an EXTREMELY slow computer. The Memory Pane gives you an easy explanation using graphics and easy to understand english. It gives you a simple box telling you how much total memory you’ve installed in your computer. It then tells you how many slots your computer has, and tells you the specifications for what Memory modules can go in . 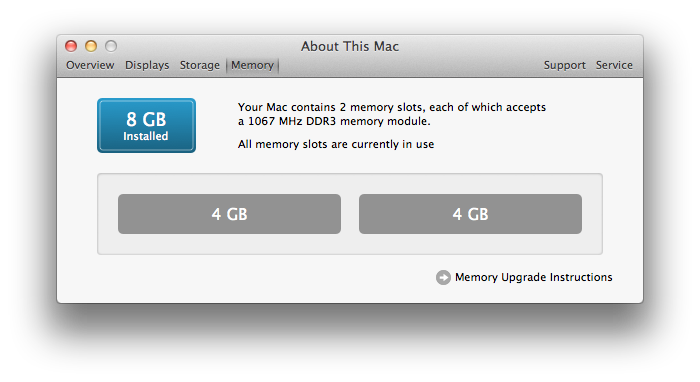 Then it gives you an easy to comprehend graphic telling you how much Memory is in each slot. So easy to understand, even your grandpa can understand it. In case it needed to get even more useful, they added a link to the Memory Upgrade Instructions – just in case you want to add some more, and don’t want to go around fishing online. Handy! 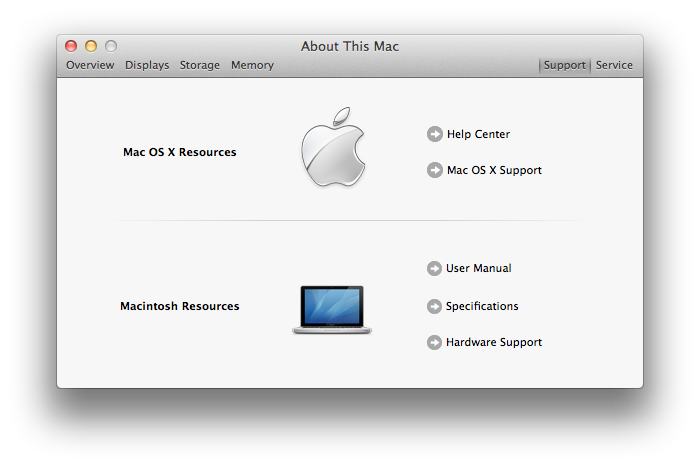 The support pane just gives you links to different online Apple support resources. This is definitely an extremely useful pane. 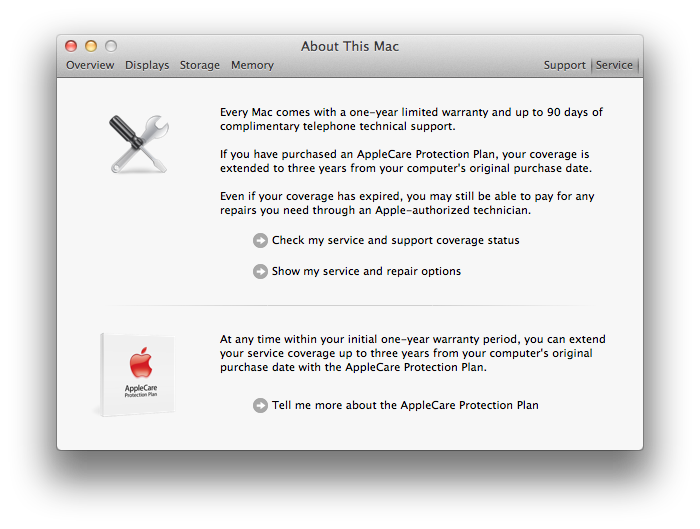 Use this pane to clearly understand your warranty information, and get more information about the AppleCare support plan. In addition to giving easy to understand repair descriptions, it also gives you links that you can use to check the status of your current warranty. It will send your serial number to Apple, then you will get a page telling you about the warranty status of your computer. About This Mac is definitely a welcome replacement to system profiler, especially because it brings easier to understand graphics and descriptions, all in basic english. This will definitely be a big help for Mac users who need to learn more about their computers, but aren’t rocket scientists. About This Mac can be found under the Utilities folder in the Applications Folder. Google+ is Google’s stab at facebook that has some great new features that really puts it in the competition (read more here). The Android app was available immediately; the iOS app was supposed to come a few weeks after. Well, it’s here. Unfortunately, it’s not worth getting. You are greeted with a front page where you can view your stream, profile, huddles, circles, etc. Everything works until you hit stream; that’s where it crashes. It will give you a spinner saying that it’s loading… then it will keep spinning… and spinning… and spinning… and when you’re sick and tired of it, you just hit the grid to go back to the home screen. But it doesn’t go. So you hit it again. Same result. So you start frantically hitting buttons, but it’s not going to respond. Then, there’s the crash. For now, this is all you’ll get. Jailbroken or not, iOS 5 or 4. The app is just a crasher.